Amenities: roof-top sun deck and spa, gym and a trolly station right outside the lobby door. 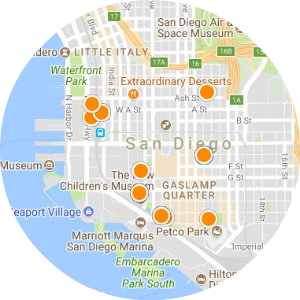 Other: Most unique project in downtown San Diego. 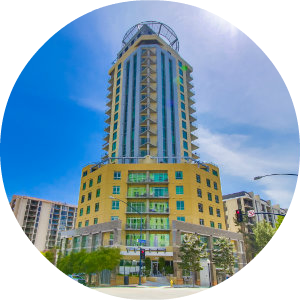 Like the most: Residents conveyed to me that they love living on Cortez Hill, which is far enough away from the hustle of the city yet close enough to walk to work or the Gaslamp. Like the least: No negative comments were provided. Other comments: Although it's a "condo" it feels like a house.